Anna herself answered the door and welcomed me into her home. 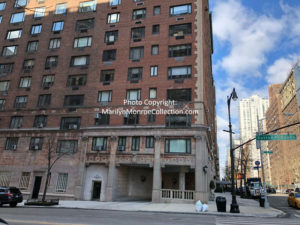 It was the same apartment she had shared with Lee. 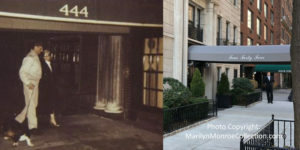 The same home Marilyn visited countless times when visiting Lee and Paula. It was much the way Susan Strasberg had described it in her book Marilyn and Me. 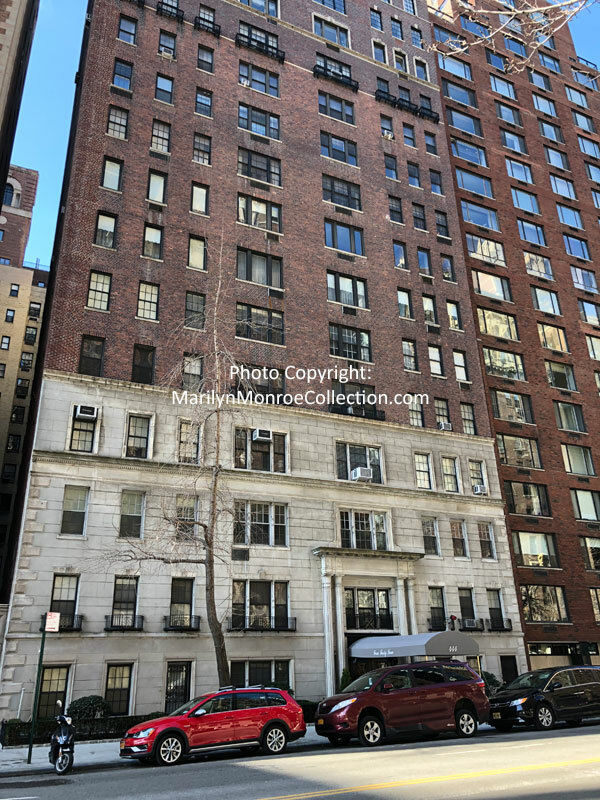 The apartment was large with high ceilings, and windows overlooking Central Park. Countless books lined the shelves of floor-to-ceiling bookcases in all of the main rooms. There were photographs everywhere throughout the apartment. Pictures of Anna with Lee, and photos of her together with her sons and her grandchildren. There were photos of Lee together with great icons of movies and television, including Sally Field, Marlo Thomas, and Sophia Loren. And, unexpectedly, there were framed photographs of Marilyn everywhere. 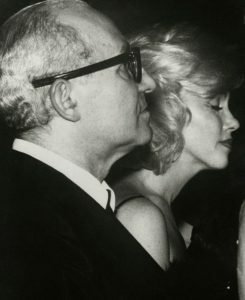 There were several photos of her with Lee, including this picture of them together at the Actors Studio benefit in March 1961. 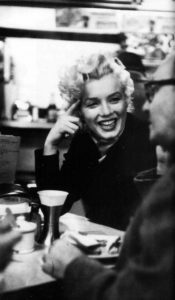 The photo below of Marilyn and Lee having coffee at a café after attending the Broadway play, A Hatful Of Rain, November 1955 hung on a wall in the apartment. 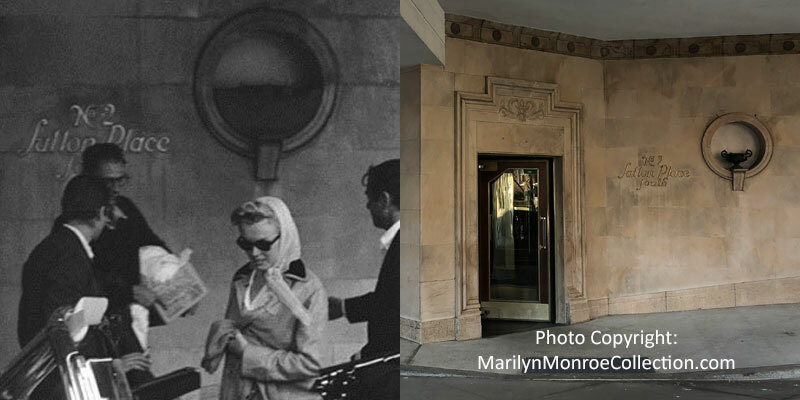 This portrait of Marilyn, taken by Jack Cardiff in 1956, hung on a wall in the dining room. Anna told me it had been Marilyn’s personal photograph. Another wall of the dining room displayed this framed print by illustrator Jon Whitcomb, used for the cover of Cosmopolitan magazine in March 1959. On a bookcase shelf rested an unpublished photo of Marilyn at the Actors Studio in 1955. There were remembrances of Lee everywhere, including his awards and recognition, such as the Il Michelangelo Award for Distinguished Service to Children. His Covenant of Peace Award from the Synagogue Council of America was displayed in a glass case in the main living room. Lee’s nomination certificate from the Academy for Best Actor in a Supporting Role for The Godfather Part II in 1975 hung in the main hallway. Below is a clip from the 1975 broadcast of the Oscars announcing this award. The Oscar went to Robert De Niro, Lee’s student. We sat at her dining room table over the next few hours and spent time getting to know each other. In very short order I learned that when you visit Anna Strasberg you are fed, and you eat. That first morning brought a homemade breakfast of huevos rancheros, and it was delicious. I had amazing home cooked meals throughout my entire stay. We talked about Lee and Marilyn. 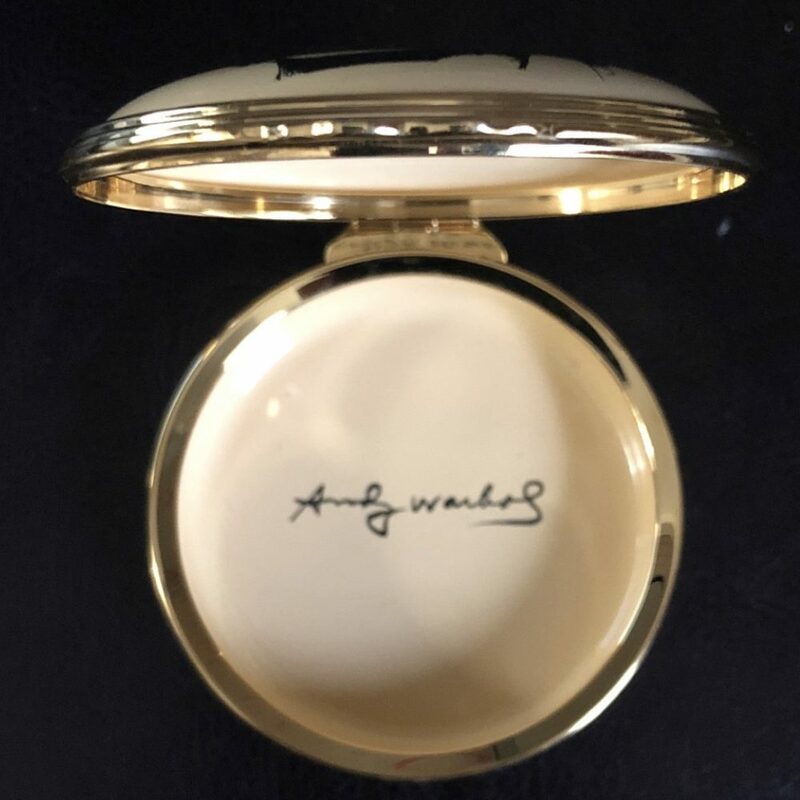 We talked about Marilyn’s estate and what it had been like for Anna through the years. I was surprised to discover that Lee hadn’t even known he was mentioned in Marilyn’s will. He learned of it only after she had died. 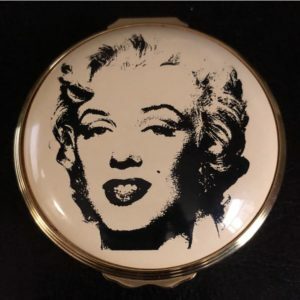 I had always assumed that Lee knew he would inherit Marilyn’s estate and belongings. I was obviously incorrect. She went on to say, “We didn’t receive Marilyn’s things right away. They came a few years later. When the boxes arrived, Lee was so moved by seeing the memories of her. Everything in the boxes was in a state of disarray. An assistant was hired to help catalog what we had received to ensure that her possessions would be protected. 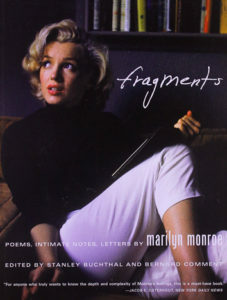 It was a process of discovery: A discovery of Marilyn’s writing and how beautifully she expressed herself in her poems. 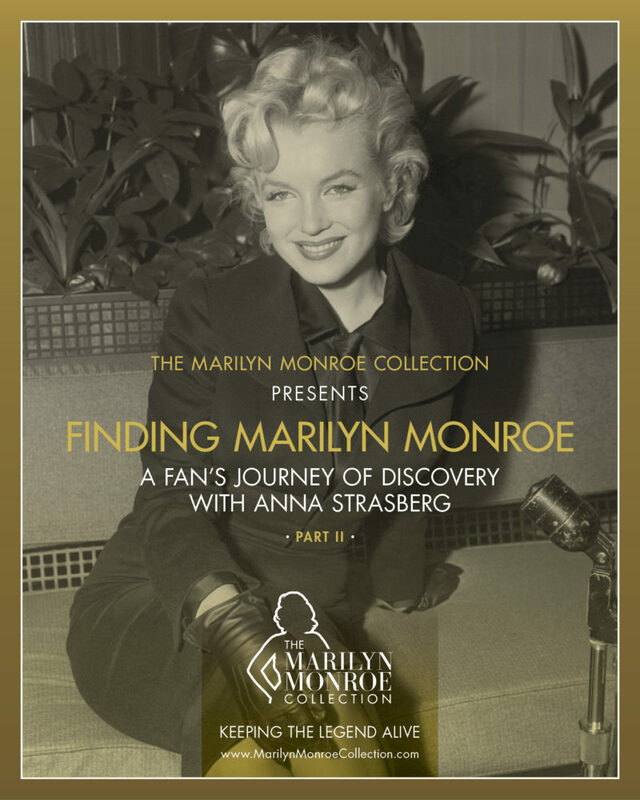 Discovering the books she read and her love of literature and intellectual curiosity.” Anna would later publish Marilyn’s writings and poems in a book entitled Fragments. 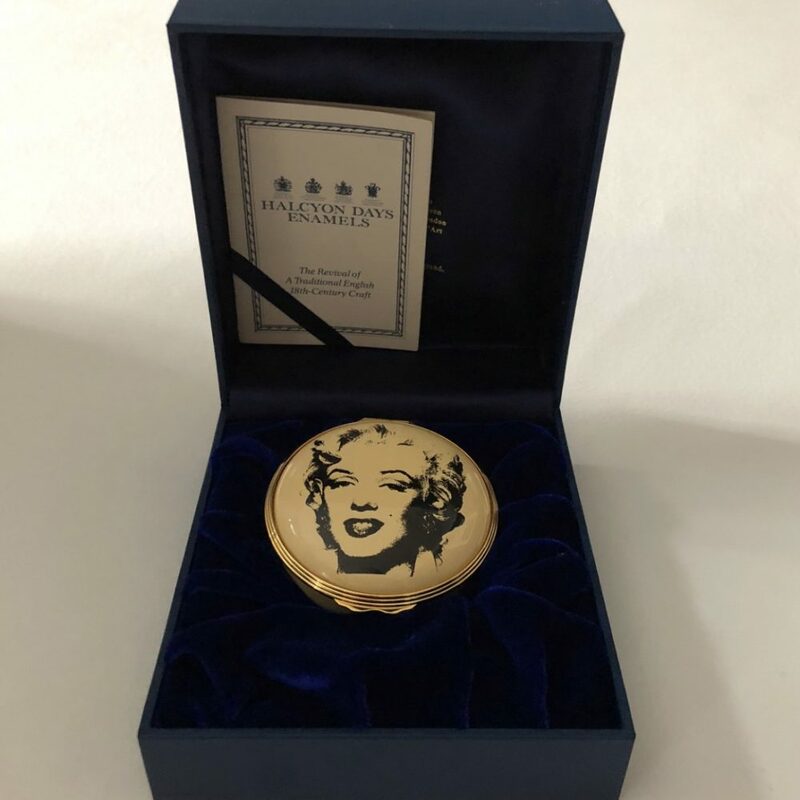 Anna shared with me her efforts around distributing Marilyn’s personal possessions to people that had been part of her life. 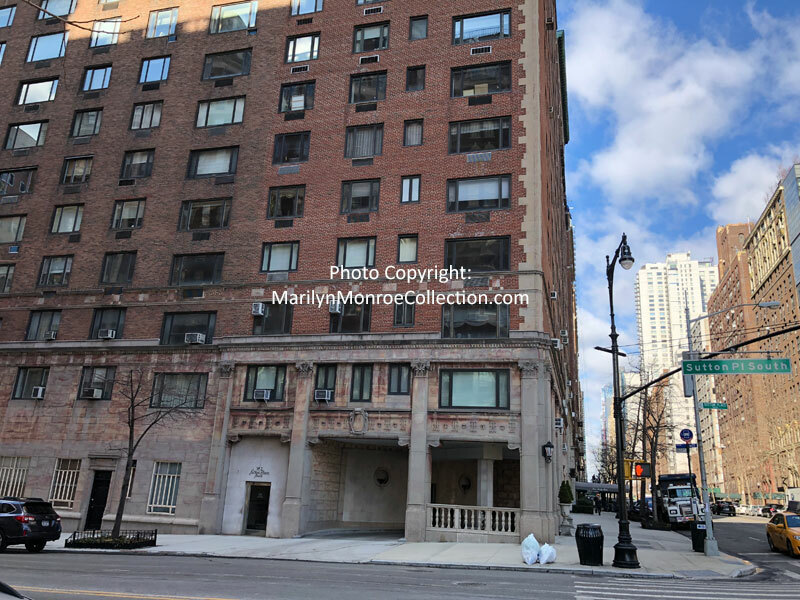 For example, the mirrored dining room table that was in Marilyn’s East 57th Street apartment had been selected by friend and designer John Moore. 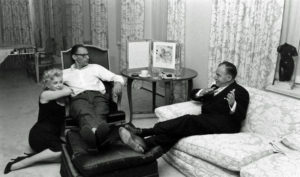 Marilyn had enlisted his assistance in redecorating the new home she was sharing with Arthur Miller. Anna gave the table to Moore considering his friendship with Marilyn and his connection to the item. Anna gave the mirrored table in Marilyn’s dining room to John Moore, Marilyn’s friend and the designer who had selected it as part of a remodel project. My first visit with Anna lasted four days, and we made several trips to her storage facility. During these visits we viewed Lee’s extensive collection of books. 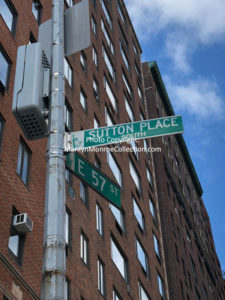 A lover of literature, his collection spanned many genres, in several different languages. Anna estimated his library contained close to 10,000 books. I couldn’t help but wonder how often Marilyn and Lee had talked about books and literature during their many conversations. Considering the vastness of his library, he must have influenced Marilyn and encouraged her to read and learn. Marilyn’s own library contained over 400 books on a variety of subjects, reflecting both her intelligence and her wide-ranging interests. Her books covered works of literature, art, drama, biography, poetry, politics, history, theology, philosophy, and psychology. Her library also contained books on gardening, her bibles, and children’s books, including her own copy of The Little Engine That Could which was possibly marked with her own childish scrawl. A true moment of astonishment occurred as Anna and I were reviewing Lee’s books. I randomly selected a box of books to go through. 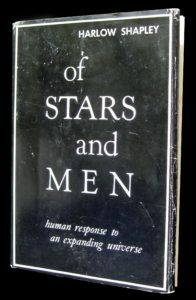 As I sorted through the books inside, I immediately noticed a title that was very familiar to me: Of Stars and Men – Human Response to an Expanding Universe by Harlow Shapely. 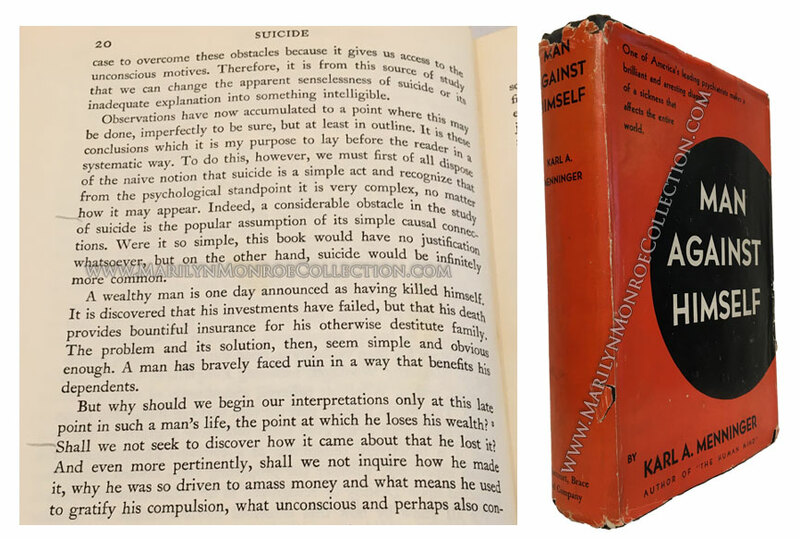 I recognized this particular book because Marilyn, too, had owned a copy, which I now own. It first sold at the 1999 Christie’s auction, and I bought it at a subsequent sale. I’m lucky enough to own five volumes from Marilyn’s personal library, some of which are actually photographed with Marilyn in her home. Several of the books I own have Marilyn’s handwriting inside, and also passages that she underlined. Of Stars and Men was the very first of her books I had purchased. To put this occurrence into perspective, this particular storage unit was full of nothing but Lee’s personal library. It held literally hundreds of boxes of books that were stored on floor to ceiling racks. I wondered if Lee had given Marilyn the book, or perhaps Marilyn gave it to Lee. 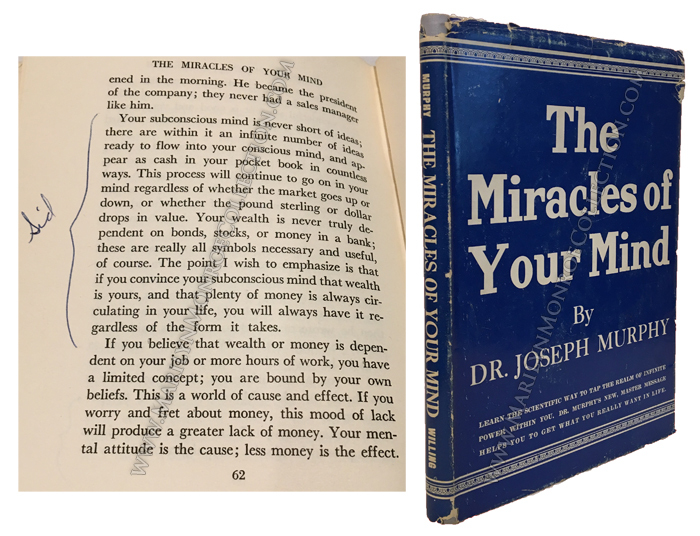 Was it merely a coincidence that I selected that one box out of hundreds that included Lee’s copy of the same book Marilyn owned…that I now own? We also looked through Lee’s extensive collection of records, which, like his books, numbered in the thousands. He was a lover of classical music, and Anna still has his entire record collection. Susan Strasberg wrote about how her parents’ apartment was always filled with music, and here were the records they had listened to. Anna also still has Lee’s Sonora Victrola upright phonograph. We powered it up and listened to one of Lee’s records. Had Marilyn and Lee listened to music together on this same phonograph? 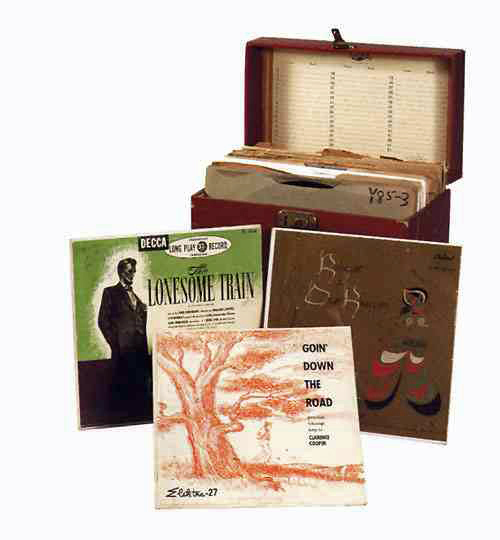 A grouping of Marilyn’s records (shown below) sold at the 1999 Christie’s sale. The estimate was $2,000-4,000, the final price was $14,950.00. Anna had another storage unit filled with licensed collectibles and memorabilia, some of which I’d never seen before. This storage unit contained unbelievable memorabilia: Watches, tins, purses, ties, clocks, shirts, holiday ornaments, magnets, puzzles, towels, reading glasses, sunglasses, journals, coffee mugs, bed sheets, posters, buttons, stickers, ink stamps, pins, checkbook covers, postcards and postcard books, gift bags, dress patterns for Marilyn’s costumes, belt buckles, and even wrapping paper. There were countless items, and the facility was overflowing with first-run and prototype memorabilia samples. It was a collector’s dream to see all of these items (still in their original packaging). Anna actually gave several items to me as gifts, including this enamel gift box by Halcyon Days, featuring Andy Warhol’s “Marilyn Monroe” silkscreen from 1964. This was the first gift box produced, the original prototype. It’s unnumbered. It was during my first trip to work with Anna that I finally had a chance to visit Marilyn’s two apartments in New York: 2 Sutton Place and 444 East 57th Street. I hadn’t realized previously that these two locations were literally right next to each other. I visited Anna in her home on my last day in New York to say goodbye and to make plans for my next trip. When it came time for me to leave, Anna stood up from the dining room table with me, grabbed my hand and walked me to the front door. With a hug goodbye she sent me on my way. I’d return to New York two more times to complete my work on the project. I love reading about Marilyn. I’m a big fan even though I was only a baby when she died. I echo what Karen wrote. 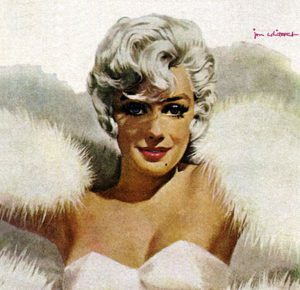 There have been many other beautiful and talented stars, but they don’t seem to have the hold on the public that MM has. Thank you for being respectful and not sensational in your writings about her. What an otherworldly experience! I’ve always wondered about Anna and what her feelings were for Marilyn and her belongings. What a comfort it is to know that she (Anna) loves and respects her just as immensely as you and the rest if us in the community. Anxiously awaiting Part III! Thanks for the insight! Nice to know that Anna respects Marilyn so much to have her pictures in her apartment. 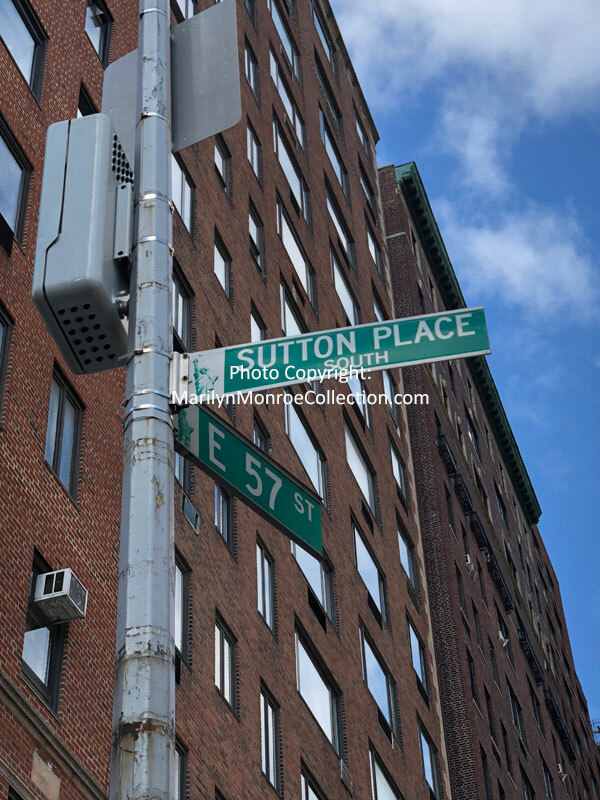 Joan Greenson tells of giving Marilyn her childhood copy of The Little Engine… to give her confidence when she headed to NYC Madison Sq Gardens to sing for JFK. Joan was a teenager at the time, but its her childhood scibblings.